I am pleased to know that all of you are enthusiastically engaged in distributing our books. In this modern Godless civilization, everyone is greatly suffering due to lack of the real knowledge of Krishna consciousness, and our task is very great and very important. We must deliver this pure science of God to everyone and give them the chance to make their lives successful. So you continue this book distribution program very nicely, and at the same time take advantage of these books yourselves. Not that you just distribute but neglect reading them yourself. Always read them, especially Krsna book. Every time you have a spare moment, you should read. 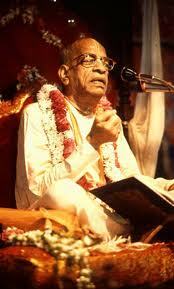 This will help you to advance in Krishna consciousness, and will give you the ability to convince others also.